Words: Rev. Horatius Bonar, alt. Our best offering to Thee bring. This cento first appeared in William Walsham How, Ashton Oxenden, John Ellerton, eds., Children's Hymn Book (New York: E. P. Dutton, 1881), #72, p. 73. Credit is often given to Mrs. Carey Brock, The Deanery, Guernsey, who wrote the Preface. Her full name is given as "Frances Elizabeth Georgina Carey Brock." The tune she used was "St. Eanswyth," by J. W. Sidebotham, 7774. 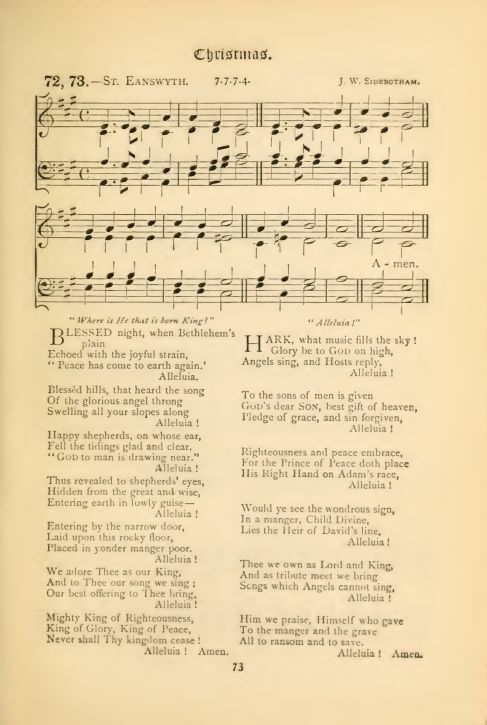 On the same page was "Hark What Music Fills The Sky," by Miss E. (Esther) Wiglesworth (1827-1907), to the same tune, and which has been printed as a Medley. See: Blessed Night, When First That-Medley. The music for this version was "Blessed Night," 777, by William W. Gilchrist, 1895. Another tune for this hymn is St. Eanswyth. 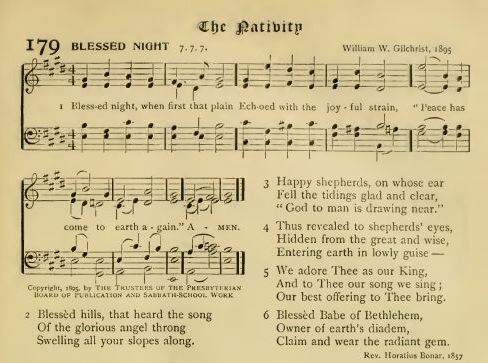 Sheet Music "Blessed Night" From The Hymnal Published by Authority of The General Assembly of the Presbyterian Church in the United States of America (Philadelphia: The Presbyterian Board of Publication and Sabbath-School Work, 1995), #79.